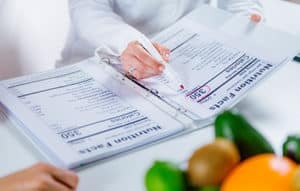 It is easy to get started on a keto diet with a little planning and know how. The keto diet has a lot of health benefits that can make life more enjoyable. 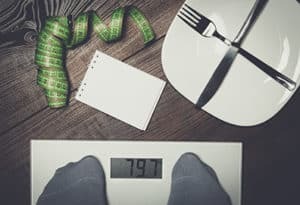 The first time I tried a keto diet there was very limited amount of information. So I used my best guess to help me along the way but now we have so many resources it is simply amazing. One of the problems is the the majority of the information comes from only a few sources and recently has just been repeated by mainstream media. 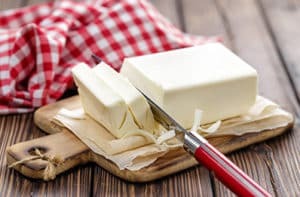 While it is good to bring keto into the spot light it raises some concerns. The current information for keto is very streamlined and extremely generalized to the point it does not help everyone and people just give up. So I hope if your reading this you have not given up on keto yet. Enough talking lets get into the article! Don’t forget to check out my 3 weight loss tips at the bottom! Are you eating the correct amount of fat? This is a tough one and I will try to make it simple and sweet. The standard recommended diet puts Carbs at the top of our list and we grew up with this embedded into our minds. So when you start keto you must break this way of thinking. You must also remember too much of something can also work against you. Fat has a higher calorie count and can stack pretty quick so make sure your not going over on daily calorie intake, Just keep that in mind as your chomping down your 12th slice of bacon for the day. I know it will be hard and if you ever try to talk to someone about it … well be ready for an ear full of how its unhealthy. I am sure if are reading this you have come across that already. This one is very important and unfortunately is being only explained partially. So the basic of losing weight all boils down to using more calories in a day than what you consume. Easy right? well kind of… this is due to all of us being different and unless you go out and get tested you will only have a rough idea. Having a rough idea will work out just fine but you will need to adjust to fit your lifestyle. If you are very active daily you will need more calories coming from fat for your energy. On the other side some people are sitting the majority of the day. These people require significantly less calories on a daily basis. While figuring it all out people fall into the trap of just eating or just looking at your macro breakdown. With task using the right tools for the job can set you up for success. Im not saying you will be tracking your calories for the rest of your life. You should count them long enough until you have enough experience to decide when your ready to take off the training wheels. After a certain point you will have be able to calculate the amount of calories in your favorite meals. Failing to plan is the same as planning to fail. No matter what diet your on having a great plan is another tool for your success. That brings us to meal prep… for me this is the fun part! Take one day a week and make most of if not all your meals ahead of time. This allows you to go worry free all week just grab your meals and go. Another advantage of meal prep is the reduced amount of temptation. You know exactly what you will be eating and can even plan for day trips. Makes life less stressful which also helps out weight loss more successful. Electrolytes… Well most people don’t even think twice about them. When your on a keto diet the become pretty important. An electrolyte imbalance can cause a few issues including headaches, leg cramps, keto flu and hunger. 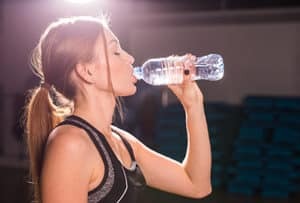 When on a keto diet you don’t get the carbs that help retain water, causing dehydration. To help this out you need to drink plenty of water. So here is where it changes when you add more water you dilute your electrolytes. So you need to make sure you get in your basic electrolyte minerals- Magnesium, Potassium, Calcium and Sodium. 5 – Are we there yet? Guaranteed results in 48 hours… Im sure we have all read and heard dozens on dozens of these advertisements. As a culture we have become accustomed to instant gratification, unfortunately it does not work like this. Losing weight takes time no matter the diet your on but you will make progress and become healthier in the process. Alot of people “Yo-Yo” Diet, I can understand why. Not every diet is for everyone, My advice is to give the keto diet a solid 2 week attempt with no slips or excuses. After this old habits will be broken and great new ones will be starting to get established. Your body will initial detoxify possibly causing headaches, cramping, stomach trouble and a few other issues. During this phase you may find yourself struggling to keep going. Trust me for 80% of us those will pass, for the other 20% you will need to adjust your carb amounts Higher or even possibly lower. Everyone is different and in my opinion there is not a boiler plate number that you must hit. These are just a few quick tips to enjoy your weight loss journey while maximizing your benefits. While on any diet Exercise in my opinion is an absolute must. Before you start thinking of reasons why you cant let me give some advice. Almost everyone is capable of exercising to one extent or another. I am not saying your first day of the diet you should be on the stair master, treadmill, elliptical for hours out of the day. Exercise can be anything from a few 10 minutes walks through out the day to just standing up from your desk a doing some free weight squats. Getting your body moving will set a path for growth in a positive way. Once you get a routine you can add to it or change it so you are constantly pushing yourself to improve. Now going to touch on this quickly here but weightlifting vs cardio vs hitt and all the other routines… I have searched for days and days trying to find the best bang for my buck and I will be doing a whole article for this. What I recommend is mixing it up between them for one simple reason, Your body adjusts to compensate when it does repetitive activities by becoming more efficient at them reducing the calories being used to complete these tasks. This may seem obvious but a lot of products out there over promise and under deliver. Anything that promises quick weight loss or faster keto adaption are probably not what they seem. One example that comes to mind (once more long term research surfaces my opinion may change) is Ketone products that claim you can get into keto even after a diet slip up. Products like this do have purpose but not for the average person. For example if your a keto marathon runner than yes absolutely your body is already very low body fat and needs the ketone bodies for energy. So be careful and remember how long it took to put on the weight… it will not come off overnight. Good news everyone my favorite part of a healthy diet that is recommended by so many in the medical profession… SLEEP. Beyond the obvious when your tired your less inclined to hit the gym or do your meal prep. When your short on sleep your brain starts firing up looking for instant gratification and since your decision making and impulse controls are lower when your tired. Try to aim between 7 and 9 hours each night to maximize your weight loss progress.